The New Year is here, and I am on the look-out for finding new ways to do and eat healthier for myself and for my family. I do not want to change everything we eat, but I want to make subtle changes to improve on what we are eating. I also want to expand their pallets so we get used to eating a new foods. I thought that one product I would try to accomplish this goal would be to add green tea to some of the foods and snacks we enjoy. 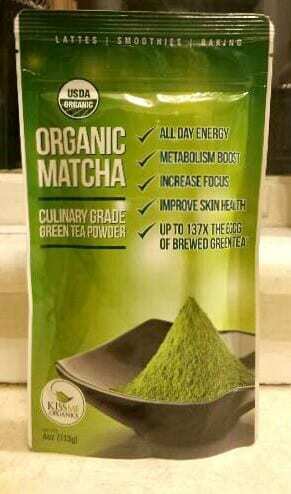 That is why I am happy that I had the chance to review Kiss Me Organic’s Organic Matcha Green Tea Powder. I tried their Culinary Grade Organic Matcha Green Tea Powder (4 oz). • It has up to 137 times the amount of EGCGs of brewed green tea (EGCGs are an Epigallocatechin gallate, a type of Catechin which is an antioxidant found in the leaves of the tea plant Camellia sinensis, that are suppose to promote health, and increase the length of life when consumed). One aspect that sets Kiss Me Organic’s Organic Matcha Green Tea Powder apart from other organic matcha green tea powders is by harvesting their tea leaves from their single-estate Japanese farm that has been recognized by the United Nations as a Globally Important Agricultural Heritage System and has been dedicated to Organic Farming for over two generations. The suggested effective daily dose of this organic matcha green tea powder is a half to one teaspoon (1/2 to 1 tsp). I thought that since it was my idea to introduce green tea into our family that I would be the first one to try green tea powder in something I eat. Since I enjoy a smoothie now and again, I thought I would try adding to one of mine one morning. I found a recipe for a simple smoothie recipe from Lindsey Goodwin of About Food.com that was not complicated. 2. Blend until the mixture is smooth and even, stopping to stir if needed. *About Food also suggests that the smoothie may be easier to blend if the matcha powder is added before the milk or dairy alternative. What did I think about this matcha green tea powder smoothie? It was good! I did not notice the taste of the matcha green tea powder at all! 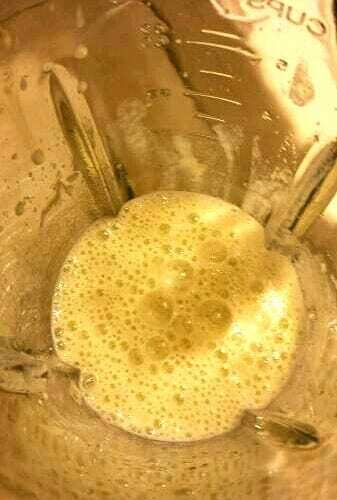 I really only tasted the banana and the milk blended together. Next time I make this smoothie, I will be adding some honey or berries (most likely strawberries) to add some sweetness and a new flavour to this drink as I have a bit of a sweet tooth! Since we are all new to adding green tea to the foods we eat, I thought that I would start by making foods and snacks we enjoy eating. 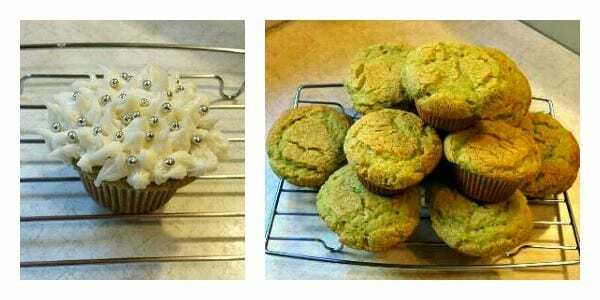 Since we love eating muffins and cupcakes, I thought it would be a great idea to add some of the Kiss Me Organics Organic Matcha Green Tea Powder to them to see how they would taste! I found a recipe for Matcha Cupcakes from Cupcake Bakeshop by Chockylit. Again, I found a recipe where most of the ingredients can be found in your home. The directions were also easy to follow for this recipe as well. They are listed below. 3. Add eggs/egg yolks one at a time, beat for 30 seconds between each. 4. 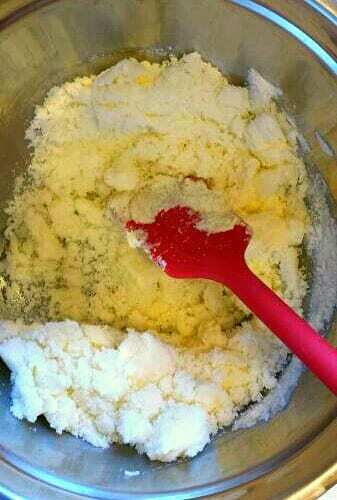 Whisk together flour, baking powder, and salt in a bowl. 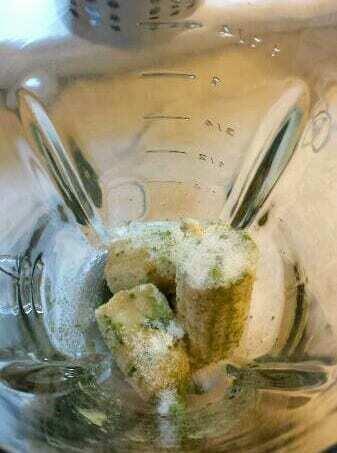 Add to batter and mix to combine. 5. Mix matcha in with the milk. Add to the batter and mix until combine. 6. Scoop batter into prepared into cupcake papers. 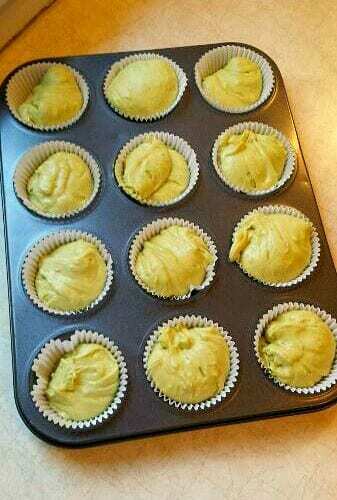 Here is how my matcha green tea powder cupcakes turned out! I was surprised by the look and smell of them! I thought they were going to smell like the organic matcha green tea powder, but they actually smelled sweet! I was even more surprised by the taste. They were tasty! My kids were excited to taste these cupcakes, too. After they cooled, I broke one of the smaller ones without icing up into a few pieces and let them eat them. They devoured them! 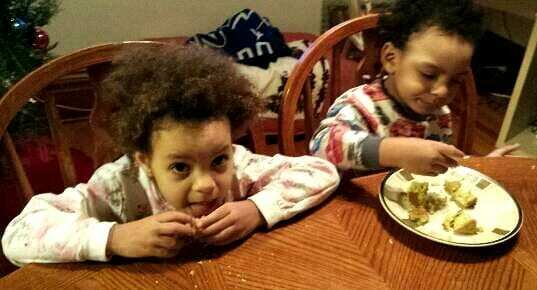 They even asked for more, so I let them indulge in another one! I think that I would have to continue to use Kiss Me Organic’s Organic Matcha Green Tea Powder in the foods and drinks my family consumes to fully gauge all of the effects organic matcha green tea power is suppose to give its users. I do like that it does not add a strong smell or flavour to the foods and drinks it is added to, and my family enjoys eating and drinking it, as well! I cannot wait to try more recipes so I can use this product on a regular basis. You can visit Kiss Me Organic’s website if you have more questions about this product. You can also connect with them on their Twitter (@KissMeOrganics) and Facebook pages! Disclaimer: I was compensated and received a package of this product in order to write this review. The opinions expressed withing this review are my own. Kiss Me Organics would like for an Ottawa Mommy Club reader to also experience trying their Organic Matcha Green Tea Powder! They are going to give one away to one lucky reader! The ARV is $28! All you have to do to win is to enter this contest to win! The giveaway is open to Canadian Residents and ends on January 31st, 2015 at 11:59 EST. Oh, definitely the muffins. Such a fun way to eat your greens. i would love to try the smoothie!! Yum!! I would love to try the smoothie you made. I would like to try the Matcha Cupcakes recipe. I like that they provide 100% money back guarantee. I would make the cupcakes! I think the cupcake recipe is intriguing, I would never have thought of using the green tea in that. Think I’ll give it a try. I would love to try the cupcakes! It would be a great way to hide something that would probably normally freak my kids out lol. I’d totally love to try the Matcha Cupcakes recipe. I would like to try the smoothie recipe. I would try the cupcake recipe as what a tasty way to get your Matcha. I would try the cupcakes you made! They look awesome!! I would love to try the matcha green tea powder cupcakes, look so good! I’d love to try the Cupcakes. I would like to try the Matcha Cupcakes. I would make the Matcha Cupcakes. I would make the smoothie first. I’d love to try the cupcake recipe, but i think i’d throw in some coconut of chocolate chips. yumm! The best smoothie!!! 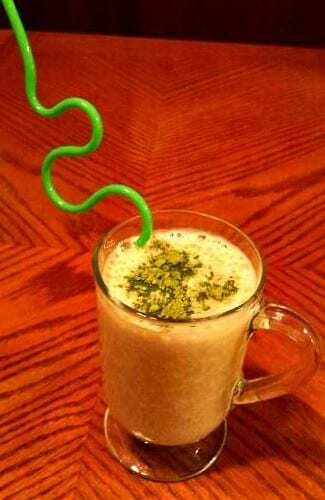 Love Matcha banana smoothies. I would use the green tea powder for smoothies. These look delicious. I love green tea! The cupcakes hands down! I am a huge loved of green tea ice cream so after making the cupcakes I will have to koom for an ice cream recipe. Thanks for posting these recipes. The smoothie also looks good; I’ve never thought of blending coconut with matcha but I bet it works well! I love that you included a cupcake recipe, it’s nice to see a healthy spin on one of my sinful delights. If I am going to ‘cheat’ on my diet, this is the way to do it! Thank you so so so much for offering this – I’m off to their website to look into it further. Wow, the smoothie of course. The smoothie… among many more! Like to try the tasty sounding muffins.